Haiti has about 8.7 million residents. About 90 % of Haitians are descended from Africans who came in the 1800s. The rest are descended from French, Spanish, German, and Polish settlers, but there are also non-black members of the population of Jewish and Arabian descent, with a smaller number of Chinese. Unrest in the country forced many Haitians to leave and move to other countries, particularly in the U.S., Canada, France, Cuba, Venezuela, French Guiana, French Antilles, and the Dominican Republic. In the United States, Haitian immigrants live primarily in Miami, New York City, New Jersey, Rhode Island, Massachusetts, and Connecticut. Since the rebellion in 2004, the United Nations has established a Stabilization Mission in Haiti, known as MINUSTAH. People who are planning to take a holiday in the Caribbean may not always consider a trip to Haiti, but they may be missing a lot in terms of fun and experience. 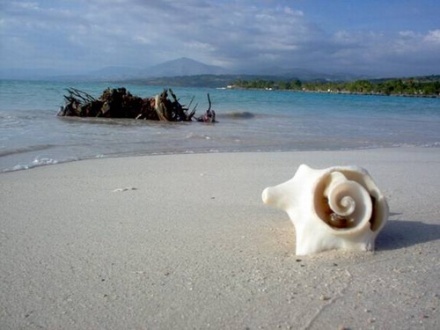 Haiti is an interesting destination with beautiful landscapes, scenic beaches and friendly locals. The island is known for its bright colors, lively music, exciting art scene, and historical sites. With so much potential, Haiti has become the Caribbean's little secret getaway for tourists who have discovered its unique beauty and charm. The name Haiti is derived from the Taino-Arawak term 'Ayiti', which was used to refer to the mountainous area of the island to the west, and the French pronounce it Ayiti, meaning 'Land of High Mountains' or 'mountainous land'. Haiti is one of the largest countries in the Caribbean region, located about 50 miles from Cuba and sharing a border with the Dominican Republic on the island of Hispaniola. 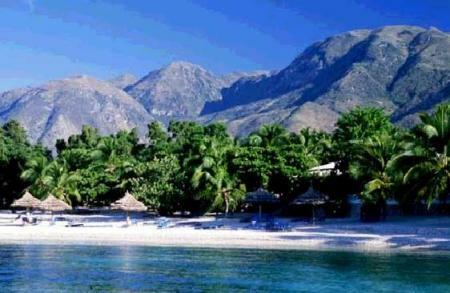 Haiti comprises mainly mountainous areas, with many differences in elevations, so each region has its own microclimate. In the north, there are the Massif du Nord and the Plaine du Nord; in the south is Plaine du Cul-de-Sac, where the salt lakes can be found. 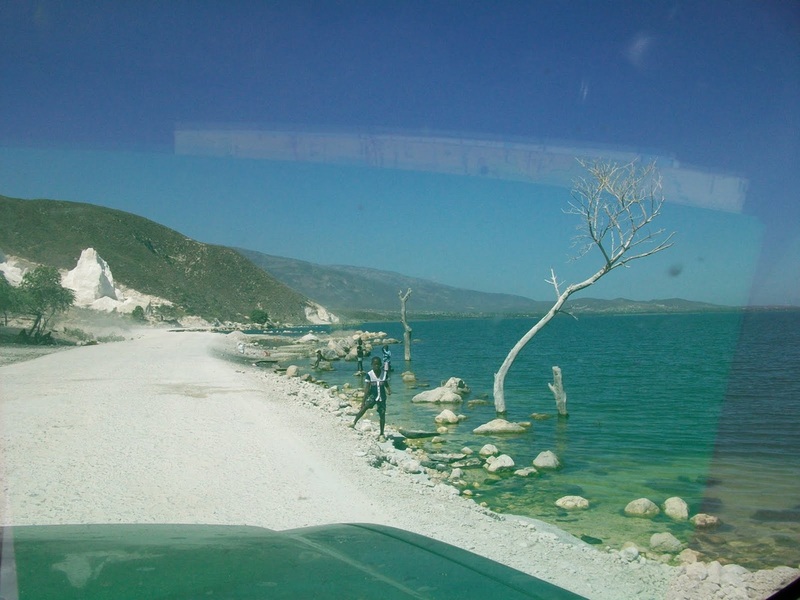 The highest elevation in Haiti is the Pic la Selle, found in the Chaine de la Selle, a mountain range that extends from the Dominican Republic. 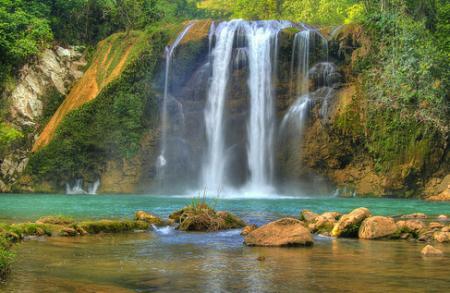 Haiti is blessed with fertile land and a biodiversity that seems surprising for its size. 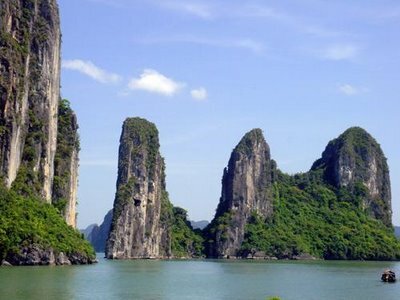 The natural scenery ranges from dry deserts and deep rainforests to mangroves and warm beaches. Haiti had already been settled by the Tainos or Amerindians when Columbus arrived in 1492 looking for gold. The Spaniards were cruel to the natives, and subjected them to forced labor or sold them off as slaves. Diseases brought by the Spaniards, combined with malnutrition and low birth rate, caused a decrease in the population. To correct this, African slaves were brought in. Probably the most popular spots in the island are found in Port-au-Prince, the bustling capital. The most popular sites include the Iron Market, the Defly Mansion, the Gingerbread Houses, and the art museum. Although the city center offers plenty in terms of dining choices, some of the best restaurants are located in Petionville, a suburban area. The easiest way to explore the city is in a tap-tap, the Haitian taxi. Just a few hours from Port-au-Prince is the Citadelle, a 200-year old mountaintop fortress, where you will find the ruins of the Sans Souci Palace. The fortress offers an excellent view of nearby Cap-Haitien where you can view the location where Columbus' flagship, the Santa Maria, ran aground in 1492. Tourists flock to Haiti's beaches for swimming, sailing, canoe racing, waterskiing, snorkeling, and fishing. You can also schedule a hiking expedition in the Parc Macaya and La Visite national parks. The best nightlife action is found in the city center, particularly at Port-au-Prince, a city of almost a million people offering endless opportunities for fun and partying. City hotels often provide the best live entertainment with in-house nightclubs and bars. La Ville Creole, for example, is a favorite for locals and tourists alike. Petionville, just outside Port-au-Prince, is also an exciting place for nightowls. Other favorites among tourists are themed parties and bars, particularly Arabian-nights style tents and nightclubs, though hotels also offer excellent shows for tourists who prefer to stay indoors to see local dances, music and even voodoo performances. The majority of Haitians are Roman Catholics and about 15% of the locals are Protestants. Vodou, the religion brought to the island by African immigrants, is still practiced, although the actual number of practitioners is unknown. Most Haitians speak French, Creole and English, while a small number of the population speak Spanish. Haitian culture is a mix of Taino, French and African cultures, and religion and numerous ethnic beliefs also contribute to Haitian society, art and music. The Kompa or Compas, for example, is a style of Haitian music influenced by ceremonial traditions practiced in Vodou. Music is also distinctly Afro-French in flavor, mixed with Cuban, Spanish and Dominican Republic beats. Haitian cuisine is a wonderful mix of many styles and tastes, including the local Taino Amerindian, Spanish, African, and French cuisines. Because of the migration of Arabs to the island, their cuisine has also been integrated gradually into the prevailing Haitian cuisine, further enhancing it. Locals frequently make use of spices and herbs, particularly peppers, in order to create dishes that are mildly spicy yet very flavorful. The most common dishes served on the island are made with rice and local beans, and may include corn and cornmeal, kidney beans, garbanzos, pigeon peas, pinto beans, tomatoes, and avocadoes. Most dishes are served with fried pork and goat meat. Visitors should also try deep-fried slices of plantain, called Bannan Peze. In general, Haitian cuisine is a taste of the Caribbean - part European and part local, spiced with the distinct and singular flavors that can only come from local essences and spices.